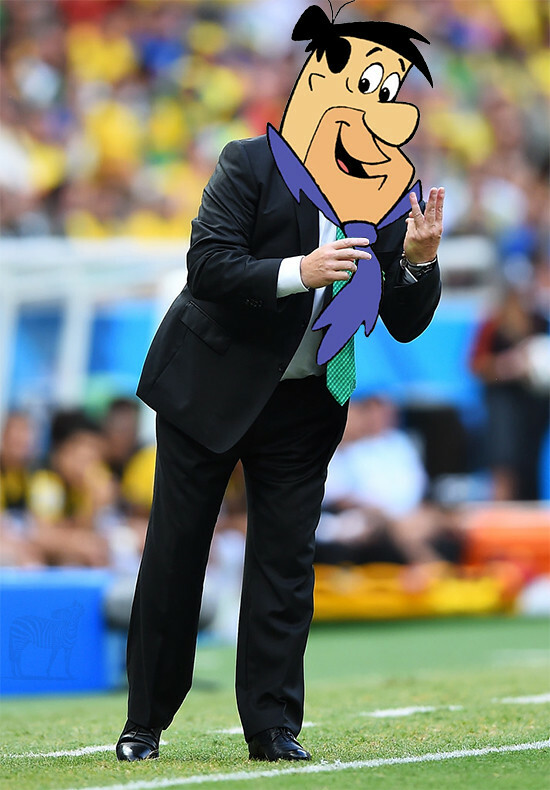 It hadn’t even occurred to me until Robbie Fowler said it on Twitter (unless he wasn’t even meaning Miguel Herrera), but Miguel Herrera does have a look of Fred Flintstone in a suit. The goal was special. One of the best headers I’ve seen in the World Cup this year, and here’s the view Daley Blind would have had as Robin Van Persie scooped the ball into the back of the net via his head. GIF via Reddit user non-relevant.